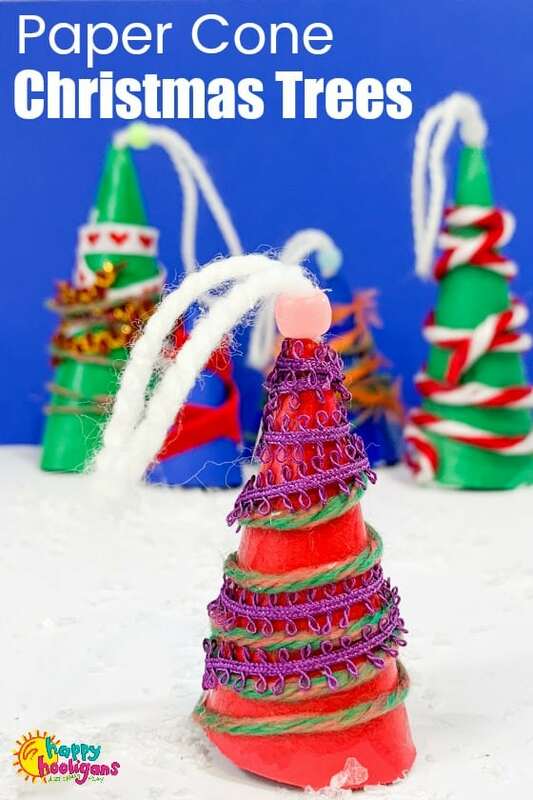 These YARN WRAPPED PAPER CONE CHRISTMAS TREE ORNAMENTS are fun and easy for kids to make. 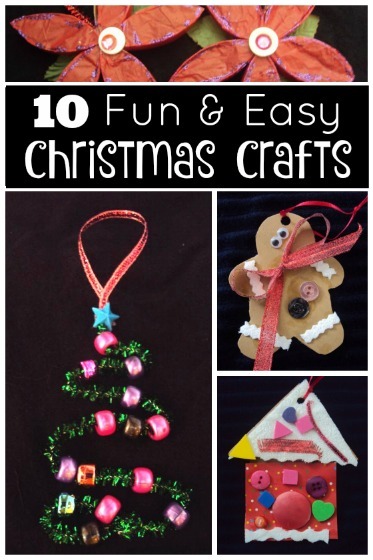 The kids will get some fine-motor practice in while making and decorating these pretty ornaments for the Christmas tree. 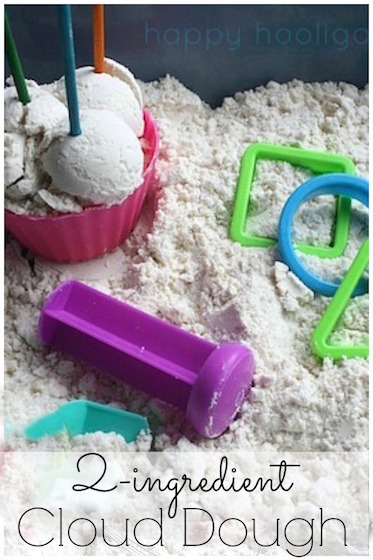 I love this simple Christmas craft for toddlers and preschoolers. It’s one of my favourites from our collection of Christmas tree crafts. 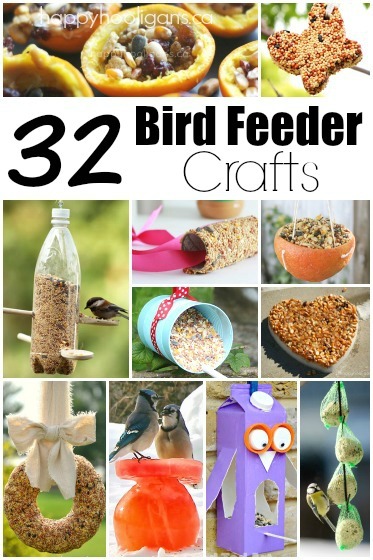 It’s easy to make, with just a piece of paper and some yarn or scraps of trim from your sewing basket. 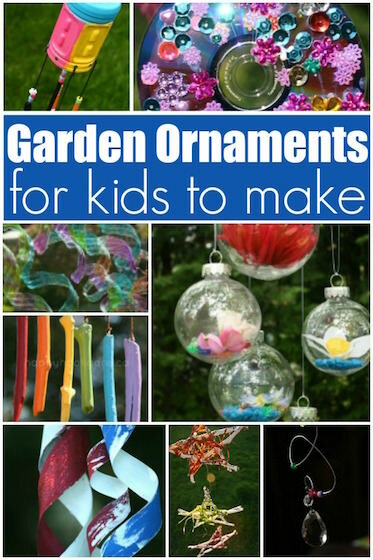 Kids will get to practice all sorts of skills and strengthen their fine motor abilities while they’re making these ornaments. 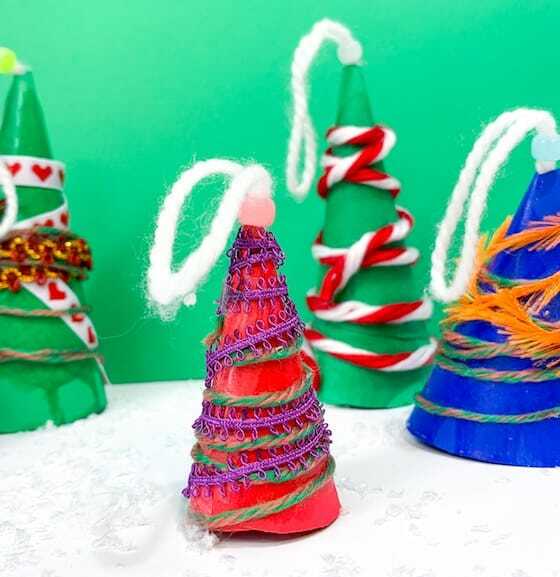 They’ll be tracing, cutting and stapling to shape their paper cone trees and then they’ll be gluing and wrapping their trees with yarn. They’ll even get a little bead work in. 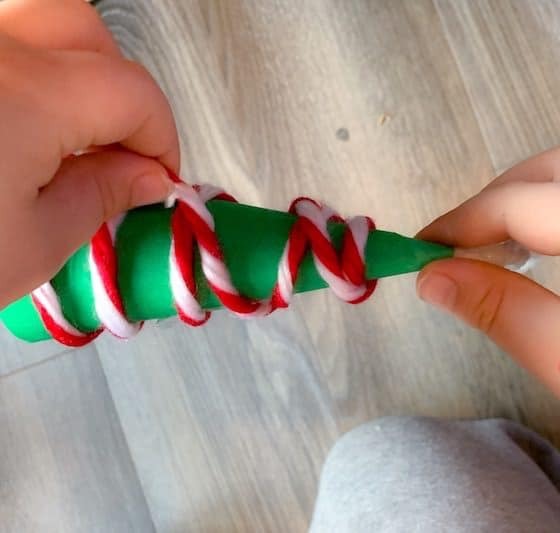 The hooligans made their paper cone trees as ornaments to hang on our Christmas tree, but you can leave off the hanging loop and use them as table toppers for a holiday table as well. 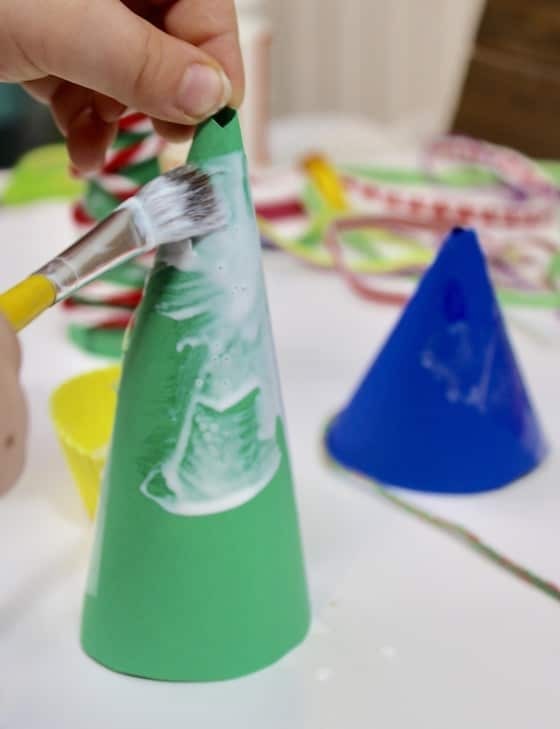 Older kids will be able to make and decorate paper cone trees by themselves, but younger children will require some assistance. Try to offer only as much help as they need. As challenging as it might be, resist the urge to step in and do something that your child may not actually need help with. 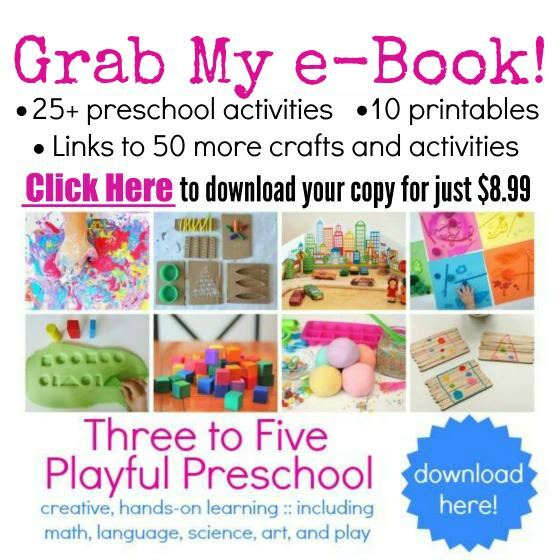 The best way for your child to learn a new skill is by figuring it out themselves. Sometimes if we sit back and give them a little time, and instruct with our words rather than our hands, our children will surprise us and themselves by accomplishing the task. The look of delight and pride on their faces, when that happens, is well-worth the patience and the wait! To make your paper cone, trace a half-circle onto a piece of card stock (I traced halfway around a small plate). Cut out this half-circle, and bend it until the bottom corners overlap. Staple the edges together, leaving a small hole at the top of your cone.Staple or tape a piece of yarn (a couple feet long) to the bottom of your cone, and brush the entire cone with white glue. 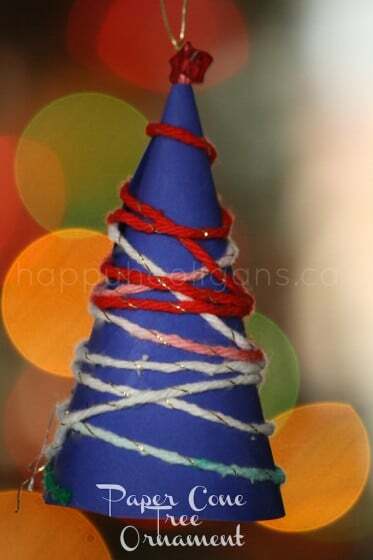 While the glue is wet, simply wrap your yarn around the cone several times, from the bottom to the top. If there’s yarn left over, wind your way back down the tree again. 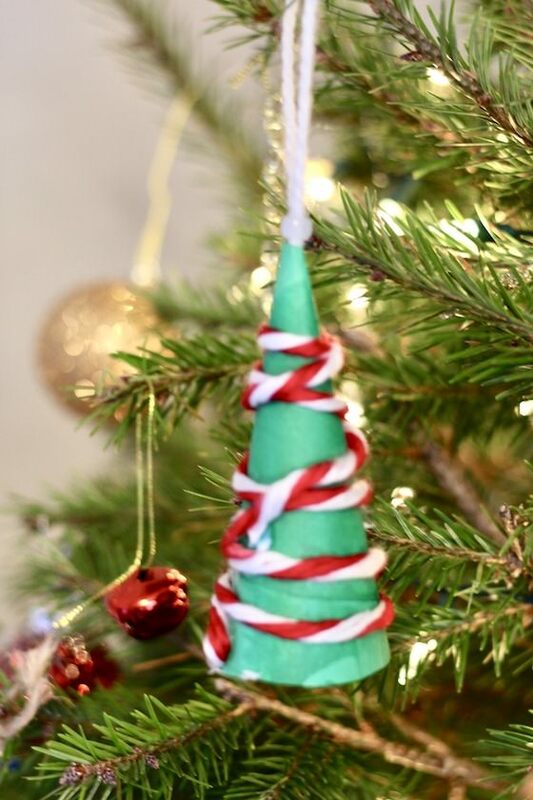 When your glue has dried, string a bead onto a piece of thread or ribbon, and poke both ends of the thread up through the hole in the top of the tree. The bead (or button) prevents your thread from coming through the top of the cone. Then slide your second bead or button onto the thread and tie it in place at the top of the tree. Make another knot to form your hanging thread. They look so pretty hanging on our Christmas tree! Love it! 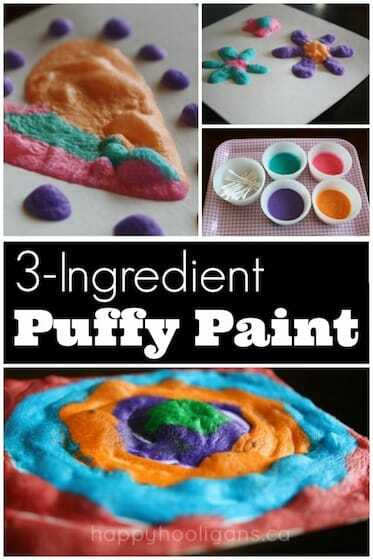 so easy for little ones!